The purpose of the Fund shall be to provide scholarships for tuition and fees, up to three classes per semester, for doctoral heterodox economics students. Over the past 4 years, the Fund has given out a total of $37,318 to thirteen PhD students. In order to be eligible, students must be enrolled in a doctoral heterodox economics program in the United States and demonstrate financial need. The fund will not provide scholarship aid for dissertation credit hours or for credit hours that are not directly relevant for the completion of the doctoral program’s course work. 1) Priority will be given to students who have no scholarship support at all and need the support to continue in their heterodox doctoral program. Students who have only partial scholarship support and need additional support to continue in their heterodox doctoral program will also be considered. 2) Preference will be given to students who are interested in working in heterodox microeconomics. Applicants from other ﬁelds of study are also encouraged to apply, especially if they are willing to do heterodox economics in an integrative manner (as opposed to adhering to a single heterodox tradition). Deadline for Fall 2019 semester is May 15, 2019. Microeconomic Theory: A Heterodox Approach develops a heterodox economic theory that explains the economy as the social provisioning process at the micro level. Heterodox microeconomics explores the economy with a focus on its constituent parts and their reproduction and recurrence, their integration qua interdependency by non-market and market arrangements and institutions, and how the system works as a whole. This book deals with three theoretical concerns. Due to the significance of the price mechanism to mainstream economics, a theoretical concern of the book is the business enterprise, markets, demand, and pricing. Also, since heterodox economists see private investment, consumption, and government expenditures as the principal directors and drivers of economic activity, a second theoretical concern is business decision-making processes regarding investment and production, government expenditure decisions, the financing of investment, the profit mark-up and the wage rate, and taxes. Finally, the third theoretical concern of the book is the delineation of a non-equilibrium disaggregated price-output model of the social provisioning process. This book explores the integration of these various theories with a theoretical model of the economy and how this forms a theory that can be identified as heterodox microeconomics. It will be of interest to both postgraduates and researchers. Paper presented at the 15th World Congress of Social Economics. Brock University, St. Catharines, ON, Canada. I first met Fred (or Fritz) Lee in the flesh in 1985 at a Post Keynesian conference in Tennessee. At a conference dinner, we found ourselves seated next to each other and the Industrial Workers of the World somehow entered the conversation. For the next 15 minutes or so, all we talked about was the IWW, Big Bill Haywood, Mother Jones, Eugene V. Debs, Joe Hill, and other notables associated with that organization. Three anecdotes follow, and then I’ll turn to the main theme of this discussion. 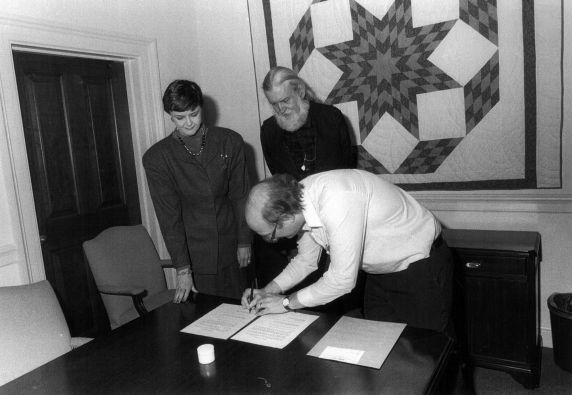 In 1988, then Chair of the General Executive Board of the IWW, Fred retrieved the ashes of Joe Hill from the National Archives in Washington, D.C. These had been seized by the U.S. Post Office during the infamous “Red Scare” instituted by the U.S. government toward the end of WWI. Hill’s ashes were then distributed to the various IWW locals still in existence. In 2005, Fred organized at UMKC a small conference to celebrate the 100th anniversary of the founding of the IWW—and this is the only such conference I’m aware of. As conferences go, this was a piddling affair and papers presented would hardly advance one’s standing in traditional economics departments. Yet, notable members of the heterodox community were in attendance, several travelling from Australia, England, and lengthy distances in the U.S. Curious, I asked a few, “why?” Why undertake the journey and expense of coming to Kansas City for such an event? To the latter, the answer was, “we owe it to Fred.” The “Heterodox Economics Newsletter” had been organized by Fred the previous year, and people were so grateful for this sole means through which economists of our persuasion could communicate in a structured fashion that they “owed it to Fred” to participate. 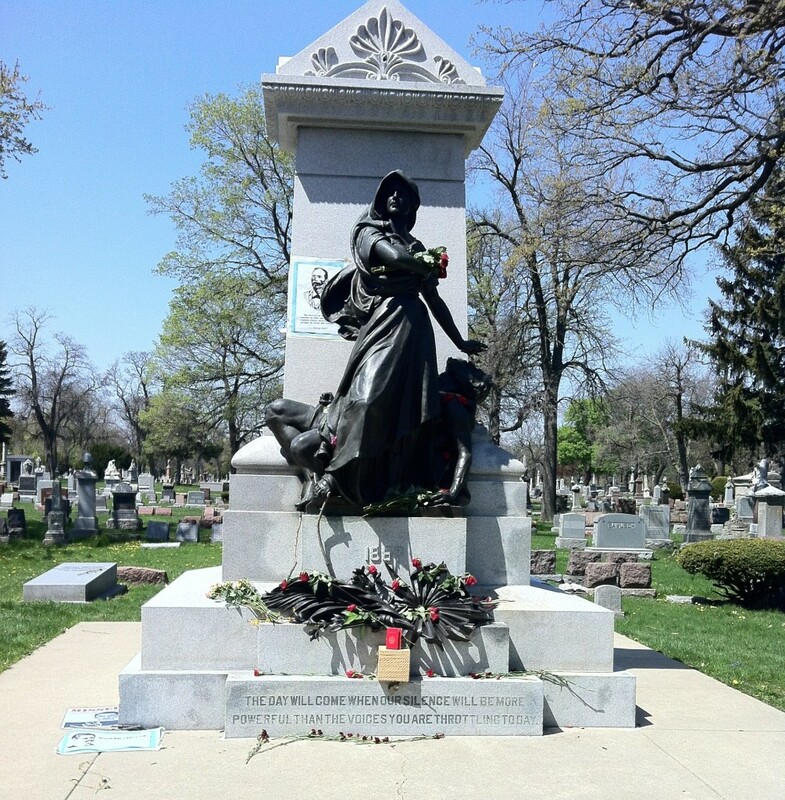 On May 2, Fred’s ashes were scattered at the Haymarket Martyr’s Monument in Forest Park, Chicago. Here, his remains join many others who have fought the good fight—and have lost: SO FAR! Now, what does the IWW have to do with heterodox economics, and Fred’s place in this development? In addition to his work in basically every heterodox association, Fred was the main force in the formation of the Association for Heterodox Economics. And it is in this organization that we see a connection to the IWW. The IWW was structured along the lines of the “Chicago” form of organizing. No single orientation was demanded of its members, but all members had to adhere to a general position that the main objective of the organization was to emancipate labor from “wage slavery” through the elimination of capitalism. Hence, the IWW enlisted Marxists, anarchists, radical trade unionists, etc. in the formation of industrial (rather than craft) unions in working toward that objective. All were loosely socialists or adherents of a “cooperative commonwealth,” but no specific political program was put forward as the only “correct” path to follow. The main point was to bring the disaffected, the discontented, the outcasts together to work for social change. Let us return to the IWW and its “heterodox” credentials. If one turns to “official” IWW publications, one finds a close affinity to one Thorstein Veblen. Now, if anyone is a registered, card-carrying heterodox economist (or social scientist) it is Veblen. The Industrial Workers of the World (I.W.W. ), “a vanguard of dissent,” was organized in 1905, and Veblen had a very close relationship with this radical organization. The I.W.W. emerged as the most militant, radical, anti-capitalist organization in the United States, particularly as the “official” Socialist Party had become increasingly conservative. In 1918, Veblen was hired by the Food Administration to investigate agricultural conditions in western U.S. In his memorandum to the Administration, “Farm Labor and the I.W.W.,” Veblen argued that, contrary to the standard propaganda of the day asserting that the I.W.W. was responsible for shortfalls in agricultural output, what the members of the I.W.W. wanted was simply good working conditions at decent pay, and an end to the harassment meted out to them by government officials, “State Councils of Defense,” “Security Leagues,” (and) “Committees of Public Safety” (Veblen, “Farm Labor and the I.W.W.,” in Leon Ardzrooni (ed. ), Essays in Our Changing Order, New York: The Viking Press,  1954, pp. 319-36) All these associations represented instruments of terror, aided and abetted by the U.S. government in smashing radical organizations in the WWI and post-war period. It looks like a far cry from Bill Haywood to Thorsten (sic) Veblen, yet the non-conformist labor leader and suave and erudite professor meet on common ground in advocating the General Strike. Further, during the wartime and post-war hysteria mounted by the U.S. government, particularly in the establishment of Justice Department’s creation of the General Intelligence Division (the “Radical Division” in common parlance), Veblen came under investigation. An initial investigation was launched in response to the publication of The Nature of Peace, strangely because of its supposed pro-German sympathies. (His Imperial Germany and the Industrial Revolution was sometimes coupled with the former book.) While such a charge was silly, to say the least, what was not silly were subsequent charges that he was closely allied to the I.W.W. And this organization had been singled out for a vicious attack by government forces as it was comprised of “undesirable citizens.” Indeed, for all intents and purposes, the government destroyed this organization in the immediate post-war period. This was the first “red scare.” Further charges made by private citizens that were duly investigated claimed that Veblen was a Bolshevik and was acquainted with Lenin and Trotsky. (See Bartley, Sylvia, “Intellect Surveilled: Thorstein Veblen and the Organs of State Security,” Elegant Technology. http://elegant technology.com/TVbarSI.html. Accessed 1/27/2014. 1996 for information on the available government files on Veblen.) While these investigations never reached fruition, they do indicate that Veblen had a strong enough relationship with the I.W.W. and was sufficiently sympathetic to Bolshevism to warrant the attention of the state apparatus. My last point on this relationship is that when one hundred I.W.W. members were prosecuted in Chicago on charges of obstructing the military draft and hampering the war effort, Veblen signed an appeal soliciting funds for their defense. (Dorfman,  1972, p.386) Not too much should be made of this, as it was also signed by others—John Dewey among them—who had no affinity for the organization. A few words must be said regarding the inclusion of (some of) the engineers in the “common man” category. In much of his work, Veblen demarcated the social order in a division between the common man—workers in the main—and the “leisure class” or “absentee owners”—essentially capitalists and their hired lackeys—one might include neoclassical economists in this set. In his Engineers and the Price System (1921), Veblen included engineers in his “common man” classification. I do not here intend to become involved in the sometimes rancorous debate among institutionalists on the matter, but merely point out three issues. Initially, note that the I.W.W.—clearly an organization of the common man—had no concerns in including the “advanced technician” in their ranks. Presumably, “advanced” refers to their progressive political orientation. So, some engineers were seen as sympathetic to the objectives of the I.W.W. Second, the actual training and work of engineers is directed toward industry or the machine process. This can orient them toward the same objectives of workers in the industrial enterprises—“serviceability” or the social provisioning process. In the U.S., at least, in the last part of the nineteenth century, training programs in leading schools of engineering (M.I.T., for instance) increasingly were geared toward cost/profit objectives as primary in order to minimize exposure to liberal arts programs that might promote interest in the common good. (See Noble, America By Design 1977) But, what is true in the U.S. is not necessarily true in general (though this is an issue that can only be addressed empirically). It does partially explain, though, why so many C.E.O.’s come from an engineering background, particularly if they marry their engineering training to degrees in business administration. Third, in Veblen’s period, there were movements by engineers to break with the pecuniary interests of absentee owners and focus their work on the machine process (or industry). One such group was the “New Machine,” founded by Henry Gannt, an engineer influenced by Veblen and friendly with Leon Ardzrooni, a student of Veblen’s who edited the collection of Veblen’s papers, Essays in Our Changing Order. Gannt wrote: “We can no longer follow the lead of those who have axes to grind, disregarding economic laws; but must accord leadership to him who knows what to do and how to do it for the benefit of the community. This man is the engineer” (quoted in Spindler, Veblen and Modern America: Revolutionary Iconoclast 2002, p.69). Morris Cooke was another engineer who associated with Veblen. As vice-president of the American Society for Mechanical Engineers, Cooke led a faction of this organization dedicated to reforming the society and severing its ties to business. By 1919, this association did break its connections to big business, and developed an ethical code which specified that the “first professional obligation of the engineer was to the standards of his profession, not to his employer” (Ibid., p.70). So, while many (most?) engineers of Veblen’s day were politically conservative and primarily oriented toward pecuniary interests, others were progressive and oriented toward the machine process. And it is this segment that Veblen included in the ranks of “the common man.” Is this not equivalent to those “technicians” of heterodox economics who strive to make this a better place in which to live? Now, Fred was not a student of Veblen. Indeed, at some point I finally got him to read Veblen’s Theory of Business Enterprise. Fred remarked, “there’s nothing new here. It’s all been said.” I reminded him that Veblen wrote the book in 1904, and one of Fred’s heroes, Gardiner Means, drew from Veblen’s work in his own approach to administered prices. That is, the book was written early in the century before all the work on administered prices that followed World War I. Fred said in so many words, “oh, yeah.” But this doesn’t really matter. What does matter is that Fred was in accord with I.W.W. principles, and these carried over into his life’s work in developing a viable alternative to conventional economics, his attention to the development of students who would carry on this duty, but, more importantly, to his commitment to making this a better world for the majority of the population—those who had an actual interest in the social provisioning process and in a viable, decent, form of social organization in which people could actually become human beings. And that is not the world of a capitalist order. 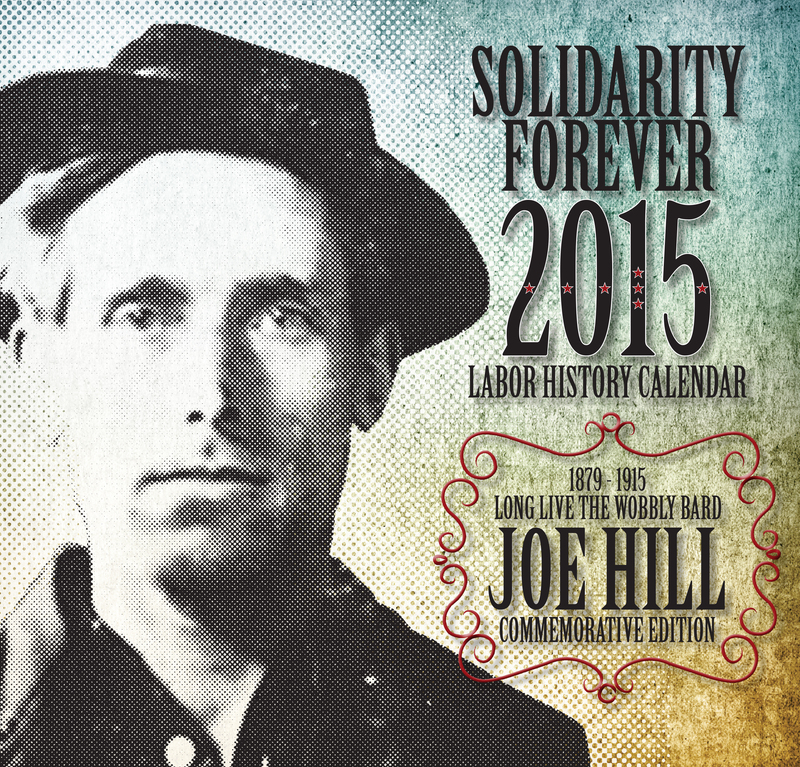 The 2015 Solidarity Forever Labor History Calendar is now available. It features Joe Hill. If you do not know who Joe Hill is, I suggest you do a little bit of work and find out or better yet hum to yourself, “Would you have freedom from wage slavery”…. You either walk the walk or you do not; and my career…has indeed walked the walk to ensure that heterodox programs exist and heterodox economists have jobs. And this has meant significant hardships for students and colleagues…to critically study the mainstream theory that calls into question the argument that supports the 1%. And it also means that you have to go beyond the critical and develop an alternative that draws upon the different heterodox approaches…. Do something—give a damn! The Lecture was aimed at highlighting the importance of Lee’s work and commitment to US Labor. It argued that the latter aspect is strictly connected to Lee’s research in the exploration of the nature and causes of US corporate power. The Lecture also pointed at the role Lee gave to class and ideological struggle at the level of academia and of teaching institutions. In this respect his book on the History of Heterodox Economics (Routledge 2009) is exemplary as it shows how tough the clashes have been in the United States since the last decades of the 19th century. The Lecture then discussed Lee’s contributions to economic analysis and history of economic thought. The Lecture stressed and elaborated upon the importance that Lee assigned to Gardiner Means and to the notion of administered prices. Lee’s work produced his fundamental volume Post Keynesian Price Theory (Cambridge University Press 1998), where the main approaches to non marginalist pricing are dissected. These are the Administered Prices approach, the Oxford-Andrews Approach, the markup Kaleckian Approach and the Sylos Labini Approach. By referring approvingly to a recent paper by Tae-Hee Jo (Journal of Economic Issues, no.2, 2016), the Lecture argues that there is no conventional price mechanism. The Lecture ends by validating Lee’s prediction made in the mid 1990s concerning the impossibility to reproduce end expand heterodox economic ideas within the academia because of the total and sectarian control exercised by mainstream economists. This is the full interview with Fred Lee (interviewed by Erik Olsen in September 2014) posted on URPE YouTube channel on November 7. 2016. 0:00 History and background through college. 9:30 How did you move into economics (from history and philosophy)? 24:04 What was Al Eichner’s influence on you? 26:24 Let’s start talking about your work. 31:50 How did you develop Post-Keynesian price theory after that? 36:00 Relation to other Post-Keynesian micro books. 39:40 Connection between work and political convictions. 45:10 His work with the Industrial Workers of the World. 46:35 The return of Joe Hill’s ashes. 49:35 How did you become involved with URPE? 56:58 URPE as a pluralist organization. 58:00 What is it like to be a radical or heterodox economist in the profession? 1:02:35 What is the part of your work that you are most proud of and what made the greatest contribution? 1:03:11You use the terms “Post-Keynesian micro” and “Heterodox micro”–what is the difference? 1:08:13 What are your thoughts on UMKC and your life and development here? 1:13:08 Survival of URPE as an organization. 1:19:25 URPE as the most pluralist economics association. The danger of sectarianism. 1:25:01 You have been a strong advocate for pluralism–could you discuss? The Economic and Labour Relations Review, Vol. 27, No. 4, December 2016. Frederic S. Lee (1949-2014) was a dedicated captain of the heterodox economics movement over the past thirty years. In his unfaltering fight for the future of heterodox economics, Lee contributed to both the development of heterodox microeconomic theory and the establishment of a global community of heterodox economists. This short tribute delineates Lee’s unique and important contribution that should be remembered and renewed in order to reproduce heterodox economics. What if there are no conventional price mechanisms? Inspired by Frederic (“Fred”) S. Lee’s theoretical contribution to institutional-heterodox economics, I make the case that the neoclassical price mechanism is not only flawed, but also irrelevant for the study of actual coordination mechanisms, hence the price mechanism — as a theory as well as a way of thinking — should be discarded. While this position was addressed by early institutionalists, starting with Thorstein Veblen, later institutionalists have not completely rejected the price mechanism. The sympathy for the price mechanism has prevented institutionalists (and other heterodox economists) from fully developing an alternative theoretical framework concerning how actual economic activities are organized. I, therefore, provide an institutionalist-heterodox framework of the provisioning process focusing on business enterprise activities. This framework shows how institutional economics becomes more refined and useful when it is married to other traditions in heterodox economics, in particular, Marxian, social, and post-Keynesian economics. Such an integrative approach is what Fred Lee showed through his work toward producing a better theory and policy for the underlying population. Marc Lavoie. 2016 (forthcoming). “Frederic Lee and Post-Keynesian Pricing Theory,” Review of Political Economy. Published online on April 8, 2016.DOI:10.1080/09538259.2016.1149375. Abstract: Frederic Lee has been a major contributor to post-Keynesian economics, mainly to its theory of pricing. This article summarizes his objections to the neoclassical view of the firm and pricing, as well as his view that changes in quantities, rather than in prices, provide the important information to firms. It also outlines Lee’s views on competition, and examines the three pricing doctrines Lee carefully analyzed—markup pricing (associated with Kalecki), normal-cost pricing or full-cost pricing (associated with Andrews), and target-return or administered pricing (associated with Means). The article then discusses the relationship between Lee and three strands of post-Keynesianism: Kaleckian, Sraffian and Eichnerian pricing theories. It explains why Lee objected to some features of each of these. The article concludes by discussing why, towards the end of his life, Lee felt (mistakenly) that his ideas had been dismissed by heterodox economists. Despite the important critiques of the mainstream offered by heterodox economics, the dominant method remains econometrics. This major new Handbook provides an invaluable introduction to a range of alternative research methods better suited for analysing the social data prominent in heterodox research projects, including survey, historical, ethnographic, experimental, and mixed approaches, together with factor, cluster, complex, and social network analytics. Introductions to each method are complemented by descriptions of applications in practice. Fred Lee Memorial Lecture in Heterodox Economics at the Australian Society of Heterodox Economists (SHE) Annual Conference, December 7-8, 2015, Sydney, Australia. This is a collection of tributes read at the Memorial Service on November 8, 2014 (Chapter 1), obituaries written by his family and colleagues (Chapter 2), and messages sent in after his passing (Chapter 3). Tributes appear in the Festschrift for Fred Lee, and various events, such as conference sessions in honor or memory of Fred Lee, are also included in Chapter 3. John F. Henry is an eminent economist who has made important contributions to heterodox economics drawing on Adam Smith, Karl Marx, Thorstein Veblen, and John Maynard Keynes. His historical approach offers radical insights into the evolution of ideas (ideologies and theories) giving rise to and/or induced by the changes in capitalist society. 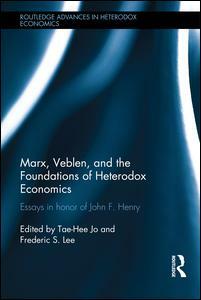 Essays collected in this festschrift not only evaluate John Henry’s contributions in connection to Marx’s and Veblen’s theories, but also apply them to the socio-economic issues in the 21st century. In Part I leading heterodox economists in the traditions of Marxism, Post Keynesianism, and Institutionalism critically examine Marx’s and Veblen’s theoretical frameworks (and their connections to each other) that have become the foundations of heterodox economics. Chapters in Part II showcase alternative theoretical explanations inspired by Marx, Veblen, and Henry. Topics in this Part include financial crisis, financialization, capital accumulation, economics teaching, and the historical relationship between money and class society. Part III is devoted to John Henry’s heterodox economics encapsulated in his “farewell” lecture, interview, and bibliography. Essays in this book, individually and collectively, make an important point that the history of economic thought (or historical analysis of economic theory and policy) is an integral part of developing heterodox economics as an alternative theoretical framework. Anyone who is troubled by the recurring failure of capitalism as well as mainstream economics will find this book well worth reading. This collection of essays honors the life and work of one of the most prominent and fervent heterodox economists, Frederic S. Lee, who has been at the heart of the heterodox economics movements for the past three decades. Authors in this book demonstrate that heterodox economic has transcended the criticism of mainstream economics and, more importantly, that constructive developments are in the making by way of cross-communications among various heterodox economics traditions. 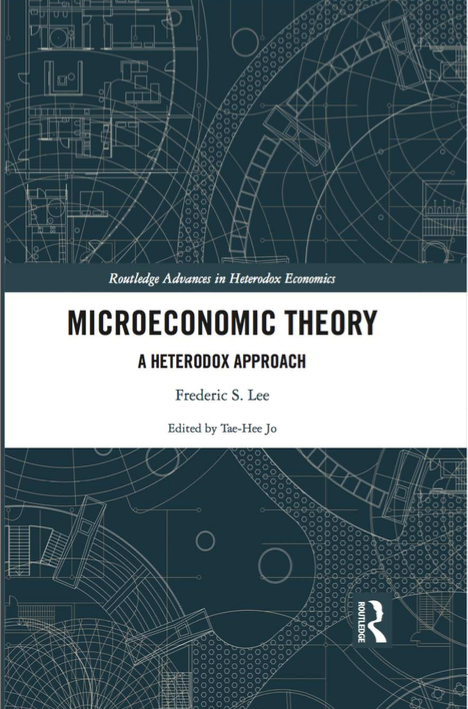 Frederic S. Lee’s contributions to heterodox economics are centered on three themes: the making of a history and identity of heterodox economics, heterodox microeconomics, and the heterodox analysis of social provisioning. Part I addresses the importance of history, theory, research methods, and institutions in the making of the identity of heterodox economics as an alternative to mainstream economics. Part II delves into heterodox microeconomic theories—in particular, investment, pricing, competition, markets, and market governance—as foundations of heterodox macroeconomic analyses. Part III expands the analysis of the capitalist social provisioning process with an emphasis on its subsystems and their relationships over historical time. Part IV encapsulates the life and work of Frederic S. Lee. Throughout his intellectual life Frederic S. Lee has shown to many that the development of heterodox economics is rendered possible by unselfish and ceaseless efforts to build both theory and institutions. Essays in this book attest that establishing an alternative critical theory to the status quo is not only possible but also serviceable to the majority of the population. October 2014 we had to withstand the passing of Fred Lee, one scholar who most, if not all, heterodox economists considered a friend. His name was respected and appreciated by the several individuals, associations and institutions that sent messages of grief (many of these messages were collected by Jo, 2014a). So far special sessions at heterodox gatherings have been held in at least three Continents: at the 2014 EAEPE Conference, 2014 SHE conference, 2015 ASSA meetings, EEA 2015 and AFIT 2015. The number and scope of these voices attest of Fred’s fundamental role in community building. To continue his efforts, a Trust Fund was created during Fred’s last year of life, aimed at providing scholarships for tuition and fees for doctoral heterodox economics students. It is possible to contribute through a dedicate website, available at https://gkccfonlinedonations.org/give/leeh00.asp. Fred’s legacy encompasses a thriving community of engaged scholars that will try, and hopefully succeed, to create a progressive economic science. However, along with the memory of his company and the inspiration of his work, Fred Lee passed away before a number of challenges to his lifetime goal – the development of heterodox economics – have been fully solved. Some of these challenges are very material. In a number of countries, the whole assortment of research evaluation, research assessment and funding are increasingly used in the field of economics as instruments of theoretical police. As Fred’s works highlighted, it matters little in this respect that research evaluation is centralized or decentralized, based on peer review or bibliometric indicators. What matters is the attempt by mainstream economics to use resource allocation as a means for the academic cleansing of heterodox economists (Lee et al., 2010a; 2010b; 2013; Corsi et al., 2010). Such mundane issues were crucial, in Fred’s understanding, due to the centrality of the academic debate in shaping the method, content and policy prescriptions of political economy. However, some commentators noted that it would be simplistic and perhaps disrespectful to only remember Fred as an organizer of heterodox economists. Indeed, reflections on the larger significance of Fred’s efforts in economic theorizing were penned, among others, by Bekken (2014), Garay (2014), Jo (2014b), McMaster (2014), Raveaud (2014), Rosser (2014), Todorova (2014) and Vernengo (2014). 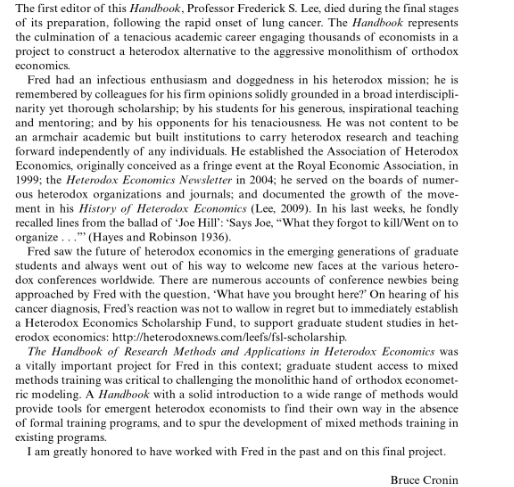 Indeed, mobilizing social resources for the development of heterodox economics (“institutions-building”) and contributing to the theoretical and policy economic debates (“theory-building”) are the two main aspects of Fred’s lifetime contribution to heterodox economics. However, putting emphasis on one or the other does not imply a separation between the two activities, separation that Fred would never have accepted. Indeed, it is almost a commonplace among heterodox economists to contrast Marx’s historical materialism with Keynes’s well-known opinion that in the long run ideas are more powerful than interests. Fred Lee was always aware that ideas have legs, they are developed within communities of individuals who recognize each other a certain legitimacy (as “scientists”, “scholars” or else) and are deeply affected by larger societal trends. Thus, as it is true for Marx and Keynes (see e.g. Roncaglia, 2005), Fred recognized that interests and ideas are mutually shaped and it makes little sense to consider one or the other in isolation. This is probably best shown in his History of Heterodox Economics (Lee, 2009), a history of the development of heterodox economics in the UK and USA through the birth and development of its connected scientific communities. Such an approach to the history of economics, as Jo and Todorova (2015) notice, is clearly influenced by Fred’s adherence to (“old”) institutionalism. Thus, on the one hand heterodox economists must consider theorizing as a concrete social process, embedded in the social fabric and influenced by it. On the other hand, they have a responsibility to create those social institutions (journals, conferences, summer schools, academic departments, … even newsletters) that can foster the development of heterodox economics and allow the younger generations in particular to resist the odious alternative between becoming mainstream or leaving the academia. Yet, even if acting and writing for the development of an alternative to mainstream economics are two mutually reinforcing activities, or even if we conceive of them as different aspects of a same effort, it does not follow that there never arise contradictions between the two. It is important not to conceal these contradication, if one is to try and continue Fred’s efforts to develop a coherent and comprehensive political economy, alternative to the mainstream. On the one hand, Jo and Todorova (2015) raise the question whether “organizational activities” within academia, scientific societies and associations and the constant involvement in seminars, conferences and gatherings of heterodox economists may not have caused “constant interruptions” in Fred’s theoretical undertaking, causing his theoretical project to be “only partially successful” (ibid., pag. 10). They conclude that he would not regret the time spent in these activities anyways, and I may add he would not have seen it as time devoted to anything different from the development of heterodox economics (admittedly, through means different from a research product, but equally important). But the main point is not about time constraints. As highlighted in D’Ippoliti and Roncaglia (2015), a chiasm may arise between the needs for the heterodox community to be inclusive and the requirement of economic theory to be coherent and not self-contradictory. At a first level, it is a matter of striking the right balance between pluralism and intellectual honesty, i.e. recognizing that pluralism is perfectly compatible with the sacrosanct principle that in the scientific debate “some views get discarded” (sentence attributed to Fred Lee by Jo and Todorova, 2015, p. 5). As long as there is debate on a certain issue, both parties of the discussion (e.g. the criticizing and the criticized side) can be considered as jointly part of an evolving community. Indeed, Fred never argued that the theoretical edifice of heterodox economics is finished, least of all that it is immutable (see e.g. Lee, 2012). However, at a deeper level the problem concerns the very “basic pillars” of heterodox economics. As noted in D’Ippoliti and Roncaglia (2015), Fred was in agreement with us, in pointing out price theory as the defining element in the mainstream vs. heterodox economics cleavage. Thus, Lee (2009, p. 7), defines “heterodox economic theory” as the set of theories that (at least implicitly) reject neoclassical price theory and its core propositions. He goes on to enlist among these scarcity, preferences and utility functions, technology and production functions, rationality, equilibrium, methodological individualism, and positivist and deductivist methodology. However, what is crucial here is that all these methodological and theoretical instruments of mainstream economics are “core propositions” of its neoclassical price theory. This definition of heterodox theory, however, demarks a narrower boundary than Fred’s definition of “heterodox economics”, which he described as the “historical science of the social provisioning process [… whose] explanation involves human agency embedded in cultural context and social processes in historical time affecting resources, consumption patterns, production and reproduction, and the meaning (or ideology) of the market, state and non-market/state activities engaged in social provisioning” (Lee, 2012, p. 340). Such definition, it is apparent, does not necessarily imply outright rejection of neoclassical price theory, and indeed it is not uncommon for any us to meet ‘legitimate’ presenters at heterodox conferences using some tool or model based on the typical supply-and-demand story. The point is not one of attributing labels, i.e. of awarding a “heterodox license” to those who reject neoclassical price theory and to deny it to others (potentially: the Austrians, several environmental economists, many evolutionists, etc.). Incidentally, labels may be important. It hardly needs recalling that several non-mainstream economists prefer avoiding the term “heterodox” altogether. In turn, many heterodox economists (Fred Lee among them) react by questioning how ‘truly’ these authors belong to the heterodox field. Such reaction perhaps underestimates the ‘tactical’ argument, that it may indeed be counter-productive from a public relations point of view, to use a name that signals a minority status and possibly a lack of unity (apart from the refusal of the mainstream). That on the best tactics and strategy for heterodox economics, including on the rhetorical ground, is another challenge that we cannot just dismiss without discussion. However, on the main point raised here, given the centrality of price theory in (implicitly or explicitly) defining one’s “vision” and understanding of the whole process of production and exchange in a capitalist society, a precise definition of what is heterodox economics is necessary in order to aim – to the extent that is possible – for coherence and consistency. In our, and Fred’s, view, price theory is a not just one of the fields of economic enquiry, but it is perhaps the pillar of economic theory, be it mainstream or heterodox. In subsequent private correspondence, Fred did recognize the potential tension between his definition of “heterodox economic theory” and that of “heterodox economics”, though he unfortunately could not delve longer into the issue. I think it is important to highlight this potential tipping point in the process of developing heterodox economics, as a crucial challenge that we inherit from Fred. Indeed, I think it would not be off the mark to state that Fred grew increasingly focused on the set of topics that in mainstream economics pass under the name of ‘microeconomics’. This is not only reflected in his theoretical undertaking (the most important of which perhaps remains Post Keynesian Price Theory: Lee, 1998). In 2013 with Fred Lee we founded the “Heterodox Microeconomics Newsletter” within the RePEc project (available at nep.repec.org). I can testify of the care and devotion that he dedicated to the creation of such instruments to diffuse (including online) the awareness that heterodox economics is not only about macro – however important aggregate demand may be. Of course, final agreement on price theory (or at least, less disagreement) is not the only theoretically challenge ahead. Any concept contained in Fred’s definition of heterodox economics (recalled above) from “social provisioning” to “agency”, “markets”, “reproduction”, “historical time”, etc. require deep historical, conceptual and theoretical analysis. What I shall like to stress is the requirement for empirical analysis too. Fred’s last book (Lee and Cronin, 2015) attests how he tried to bolster pluralism of methods too. Although unfortunately I could not accept, he asked me to contribute with a chapter on the usefulness of quantitative methods, with words – I do not remember precisely – along the following lines: we need to show to heterodox economists that statistics is useful to us too, and that there is more in it than just mainstream econometrics. Fred was of course well aware (as I am) that this is not necessarily a widely shared premise within the heterodox community. Perhaps the reader might be surprised not to find here a birds’ eye view or a detailed description of Fred’s many contributions to heterodox economics. After the several writers listed in the references have already commented on Fred’s many works, I would rather refer the reader to Fred’s own account of the matter (Lee,  2015). Moreover, in certain cultures it may appear as inappropriate to highlight one’s doubts on the claims by someone who tragically passed away as I partially made here (stressing that these are not flaws in Fred’s analysis but challenges that remain for all of us, being heterodox economics a work in progress). But if there is one thing I am sure Fred believed, is that raising criticisms, even dissent, is more important, more respectful and more useful, than pretending to always agree. Corsi, M., C. D’Ippoliti, and F. Lucidi (2010), “Pluralism at Risk? On the Evaluation of Economic Research in Italy.” American Journal of Economics and Sociology, 69(5): 1495-1529. D’Ippoliti, C., and Roncaglia, A. (2015), “Heterodox economics and the history of economic thought”, in Jo, T.H. and Todorova, Z. (eds. ), Advancing the Frontiers of Heterodox Economics: Essays in Honour of Frederic S. Lee, London and New York: Routledge. Jo, T.H. and Todorova, Z. (2014b), “Frederic S. Lee’s contributions to heterodox economics”, in Jo, T.H. and Todorova, Z. (eds. ), Advancing the Frontiers of Heterodox Economics: Essays in Honour of Frederic S. Lee, London and New York: Routledge. Lee, F.S. (1998), Post Keynesian Price Theory, Cambridge: Cambridge University Press. Lee, F.S. ( 2015), “Predestine to Heterodoxy or How I Became a Heterodox Economist”, republished in Jo, T.H. and Todorova, Z. (eds. ), Advancing the Frontiers of Heterodox Economics: Essays in Honour of Frederic S. Lee, London and New York: Routledge. Lee, F.S. (2009), A History of Heterodox Economics: Challenging the Mainstream in the Twentieth Century, London and New York: Routledge. Lee, F.S. (2012), “Heterodox Economics and Its Critics.” Review of Political Economy, 24(2): 337-351. Lee, F.S., T.C. Grijalva, and C. Nowell (2010a), “Ranking Economics Departments in a Contested Discipline: A Bibliometric Approach to Quality Equality Between Theoretically Distinct Subdisciplines.” American Journal of Economics and Sociology, 69(5): 1345-1375. Lee, F.S., B.C. Cronin, S. McConnell, and E. Dean, E. (2010b), “Research Quality Rankings of Heterodox Economic Journals in a Contested Discipline.” American Journal of Economics and Sociology, 69(5): 1409-1452. Lee, F.S., X. Pham, and G. Gu (2013), “The UK Research Assessment Exercise and the narrowing of UK economics.” Cambridge Journal of Economics, 37: 693–717. Lee, F.S. and B.C. Cronin (eds.) 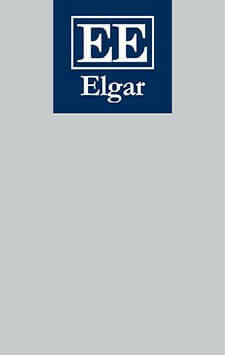 (2015), Handbook of Research Methods and Applications in Heterodox Economics, Cheltenham: Edward Elgar. Roncaglia, A. (2005), The Wealth of Ideas, Cambridge: Cambridge University Press. Todorova, Z. (2014), “A letter to the IAFFE community”, IAFFE mailing list, 27 October. La comunidad de los economistas heterodoxos ha perdido a Fred Lee, uno de sus líderes más entusiastas y que estuvo en el centro del movimiento de la economía heterodoxa durante las últimas tres décadas. Este artículo describe el amplio espectro de las contribuciones que Fred Lee realizó a la economía heterodoxa, y se centra en sus aportaciones a la formación de la historia e identidad de la economía heterodoxa, a la teoría microeconómica heterodoxa, y al análisis del proceso de aprovisionamiento social. ¿Cuál es el significado de estas contribuciones para la economía heterodoxa? Fred Lee nos ha legado teorías heterodoxas, instituciones y buena voluntad que continuarán desarrollándose en el trabajo de aquellos economistas preocupados por establecer una teoría crítica alternativa al statu quo. Fred Lee’s ashes are scattered on May 2nd, Saturday, 11:00 AM, at the Haymarket Matyrs Monument in Forest Home Cemetery, Chicago, IL. John E. King. 2015. 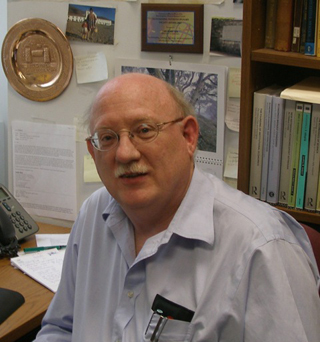 “In Memoriam: Frederic Sterling Lee (1949–2014).” Review of Keynesian Economics, 3(2):226-232. Alan Freeman’s tribute to Fred Lee (video) delivered at the SOAS event in honor of Fred Lee, November 22, 2014. Watch the video here. Jan Kregel & L. Randall Wray (2015) Editors’ Corner, Journal of Post Keynesian Economics, 37:3, 528-531. Download the list of papers and materials [pdf]. This collection is available at The State Historical Society of Missouri-Research Center, Kansas City. If you would like more information, please contact us at shsofmo-kc@umsystem.edu. The papers of Frederic Sterling Lee, former Professor of Economics at the University of Missouri-Kansas City, contain his personal and professional research files, correspondence, writings and edited works. Dr. Lee was internationally known for his work on alternative microeconomic theory. The papers were donated to the State Historical Society of Missouri by Frederic S. Lee on April 25, 2014 (Accession No. KA2205). Additional materials were received on September 11, 2014 (Accession No. KA2233) and January 27, 2015 by Ruth Lee (Accession No. KA2266). Frederic S. Lee received his PhD in economics from Rutgers University in 1983. His teaching career includes being a lecturer at the University of California-Riverside, 1981-1984; Assistant/Associate professor at Roosevelt University (Chicago), 1984-1991; Reader in Economics at De Montfort University (UK), 1991-2000; and Professor of Economics at the University of Missouri-Kansas City, 2000 to present. Lee established the Association for Heterodox Economics (UK) in 1999 which continues today. He organized Post Keynesian Economics Study (UK) seminars in 1998- 2000. From 2003 until 2009, Lee was editor of the book series Advances in Heterodox Economics with University of Michigan Press and later with Routledge. In 2004, he established the Heterodox Economics Newsletter and remained the editor until 2009. Lee also was the editor of the American Journal of Economics and Sociology from 2009- 2013. From 2006-2010 Lee was the Executive Director of the International Confederation of Associations for Pluralism in Economics; President of the Association for Institutional Thought (2011-2012); and President-elect of the Association for Evolutionary Economics (2014). Frederic S. Lee was born on November 24, 1949 in Nyack, New York. He died October 23, 2014 in Webster Groves, Missouri. Specific item; Box number; folder number; Frederic Sterling Lee (1949- 2014) Papers (K1317); The State Historical Society of Missouri Research Center-Kansas City [after first mention may be abbreviated to SHSMO-KC]. Jo, Tae-Hee and Todorova, Zdravka (2015) “Frederic S. Lee’s Contributions to Heterodox Economics.” MPRA Working Paper 62568. This paper is the Introduction to Advancing the Frontiers of Heterodox Economics: Essays in Honor of Frederic S. Lee. Edited by Tae-Hee Jo and Zdravka Todorova. London and New York: Routledge (forthcoming in 2015). Highlander News, UC Riverside, April 26, 1984 (Courtesy of John K. Lee, Fred Lee’s brother). Click on the image to read it in a larger scale.